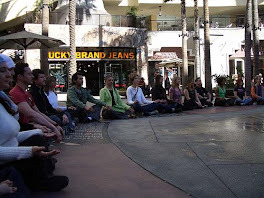 The raw food revolution has firmly gone from fringe to fad in the last several years as celebrities go public evangelizing the benefits of going raw, and book shelves get more crowded with raw food recipe books each week. But eating raw and having it be tasty is not effortless, with the messy and exhausting chopping, grating, purifying, and sometimes dehydrating that is involved. 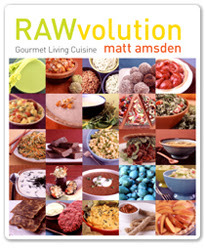 But now thanks to celebrity raw food chef Matt Amsden (writer of Rawvolution), living raw is as simple as ordering take out. Rawvolution.com offers a fantastic raw food delivery service that for $100 buys you a box of prepared, organic, raw foods that include 2 savory soups, 4 gourmet entrées, 4 side dishes and 2 delicious desserts, which can either be picked up in Los Angeles or New York City, or shipped anywhere in the US. The menu is amazing with dishes such as Asian Vegetable Nori Rolls, Spinach and Cheese Quiches and Chocolate Torte Balls. Rawvolution already has a celebrity studded following with names such as Cher, Susan Sarandon and Carol Alt endorsing the menu and service on their site. For those of us who love feeling healthy, but are in alien territory in the kitchen, this just might be a god send.